Heart disease is still the No. 1 killer of women, taking the life of one in three women each year. This means our mothers, sisters and friends are dying at the rate of one per minute because they don't know what you know: Heart disease kills. 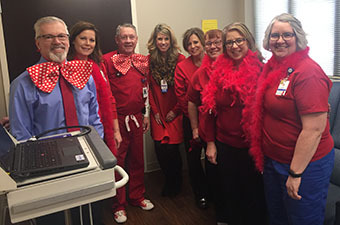 Methodist Health System employees are invited to wear red every Friday in February to show their support. Red shirts, red shoes, red scrubs — anything red will do! — subject to your department’s dress code.